Homemade Coleslaw is very easy to prepare. You don’t need to buy this pre-packaged. Save money by making your own simple homemade coleslaw from scratch. This video is part of my learn to cook series. I recently came across my old home economics cookbook, and I am working my way through the whole cookbook cooking each recipe, and shooting a video for each recipe. This way I can show you how I learned how to cook. Perhaps you need to learn how to cook as well. We are making a very simple homemade coleslaw recipe. I know you can now purchase coleslaw in the grocery store pre-made. You can also make coleslaw from scratch. Why would you want to? You may want to customize it the way you like. When you make it from scratch you can add more onion if you desire. You could add some shredded carrot, or even some shredded apple for a nice change. You may also want to control the amount of sugar, or even use a sugar substitute in this recipe. Now you have a nice basic recipe to work from. I sometimes add a little purple cabbage when I make homemade coleslaw. This gives your salad a nice color, and it is a simple addition. Here is a trick if you only need a few leaves of purple cabbage, just buy that much when you go to the grocery store. You can simply peel off a few leaves of the purple cabbage and pay for what you want. I learned this trick when I used to work in grocery stores years ago. This recipe is very simple, we are going to make a creamy dressing that is simple, and tastes wonderful. I bet you already have most of these ingredients in your pantry right now. Houston’s Cole Slaw – this is a delicious way to make cole slaw. You never need to go out and buy coleslaw it is so easy to make from scratch. Mix together the salad dressing by combining the mayonnaise, vinegar, cream, sugar, salt, and black pepper. 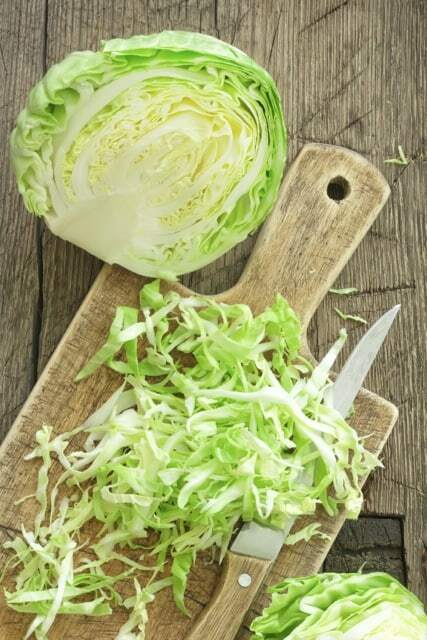 Mix together the cole slaw dressing with the shredded cabbage, celery, and chopped white onion. Cover cole slaw, and allow to rest for at least 1 hour before serving. I just can’t do summer without coleslaw. Great post!! Thank you so much for sharing my mom’s coleslaw dressing recipe, my favorite! Receipt for Mr. RON’S COLESLAW. Did u ever get this? I’ve. Been looking too. I’m looking for a receipt for MR. RON’S coleslaw!! Do you have it? Or, can you get it? I find when using vinegar and let it set for a few hours, it is really wet at bottom of pan. I do not care to have very wet slaw. Any suggestions? I always make this the day before. So what i do is let it sit for a while to season through then I like to drain the excess about an hour before I serve. I have never done it this way, I’ll have to give this a try.